Nadderud Stadion is a multi-purpose sports venue located in the Norwegian district of the same name, close to the town of Bekkestua. 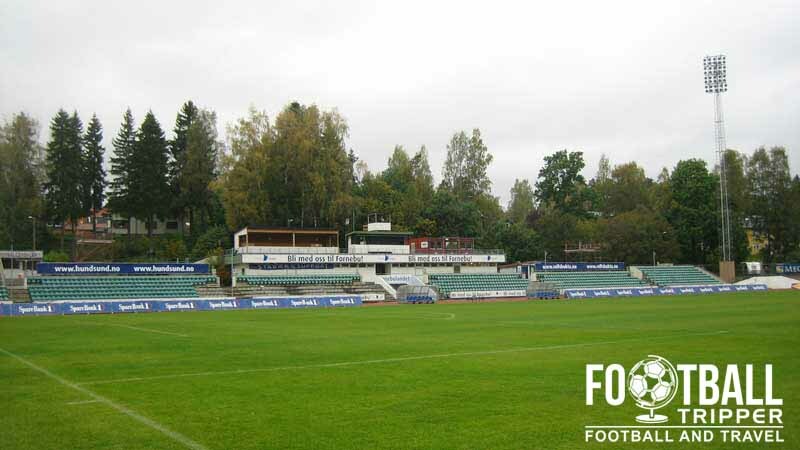 Used predominantly for football matches, Nadderud has been home to Stabæk Fotball since opening in 1961 and was formerly home to the smaller lower league side Bærum SK. Nadderud Stadion is comprised of four stands: North, East, South and West. Away fans (Bortesupportere) are housed within sections 307, 308 and 309 which form the northernmost part of the west stand as per the above seating plan. Visiting supporters can can enter the stadium via Gate E where there is a ticket booth. Official merchandise can be purchased from the ground on matchdays and from the club’s Stabæk’s official online store. 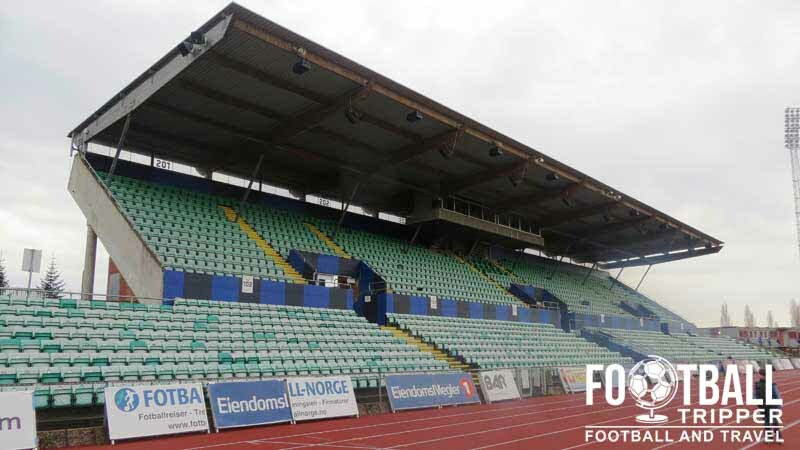 It seems very unlikely that Stabæk Fotball would offer guided tours of Nadderud Stadion to the public! 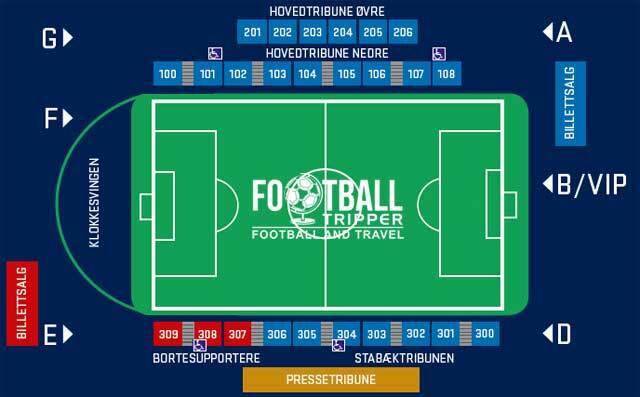 Tickets to see Stabæk Fotball play at home can either be purchased online in advance of the match or on matchdays from the two ticket booths (Billettsalg) which are diametrically located at either end of the stadium. 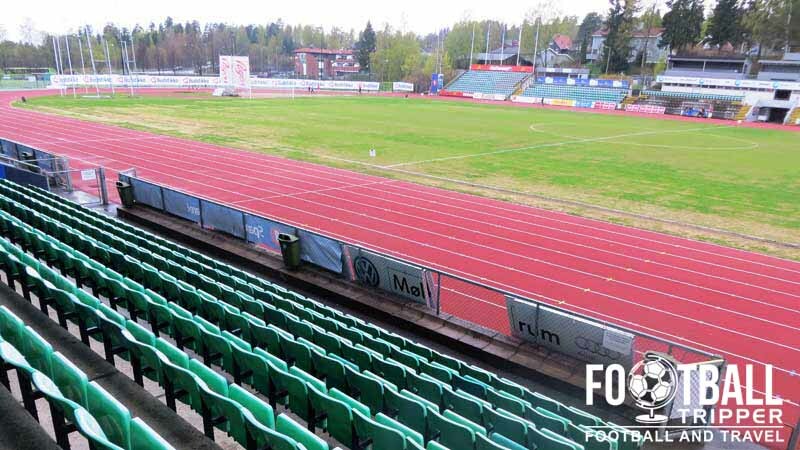 Nadderud Stadion is located centrally within the small town of Bekkestua which belongs to the municipality of Bærum, Eastern Norway. From anywhere in town Football Trippers can walk to Nadderud in no more than 10 minutes. There doesn’t appear to be any parking whatsoever within the stadium and the sports complex. 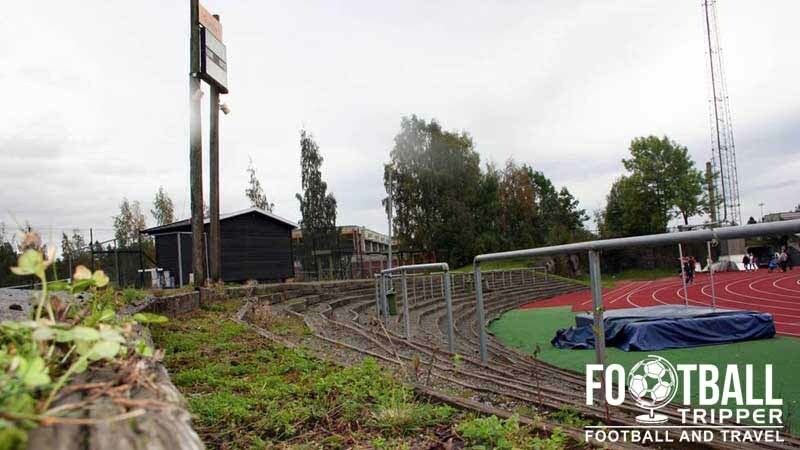 The closest “proper” railway station is Gjønnes which can be found 850 metres south-west of Stabæk Fotball’s stadium. You can catch a service to Oslo from here within 22 minutes, and there is a car park with approximately 200 spaces. There is also the Bekkestua Subway Station which appears to be the next stop along, and the physically closest train stop to the Nadderud Stadion. Nadderud Stadion is located along Gamle Ringeriksvei south-west of the ground. This is served by bus numbers 143 and 149 from Oslo Bus Terminal, and the local 731/771 services from Bekkestua. Oslo Airport can be found just over 60 km away north east of Bekkestua around a 50 minute drive along the E6 motorway. As the largest international airport in Norway you can rest assured that there are plenty of flights to and from Europe’s largest cities. As you won’t find any hotels within the small towns of Bekkestua and Stabekk you will probably want to explore the accommodation options within Oslo. This will also make a smoother getaway as you will be better linked to the airport and major train station.